Superfresco Easy… making wallpaper easy-peasy! 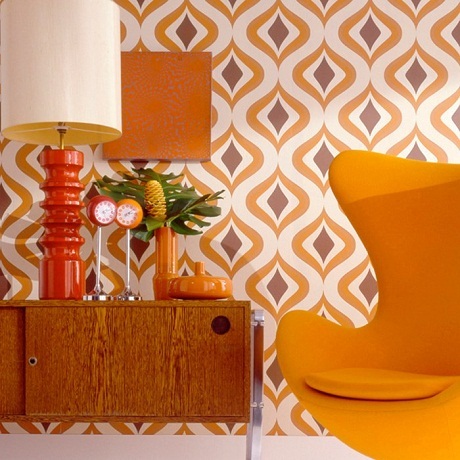 If you like the thought of wallpaper but have always been put off by a lack of hanging expertise, think again! Superfresco Easy, launched by Graham & Brown, is the future of decorating. Its non-woven technology means you paste the wall and not the paper – minimising mess and cutting your decorating time in half. Yes, half. There’s no need for soaking time and no need for a pasting table. There's also a huge range of styles, textures and colours to choose from, ranging from loud geometric patterns with big personalities to romantic florals and delicate motifs. We've chosen a few of our favourites here but there are many more. And, when it’s time for a change – the paper peels off in one strip. So easy, you could even get the kids to help! All wallpapers are £20 per roll with the exception of Cinema which is currently £10 per roll!